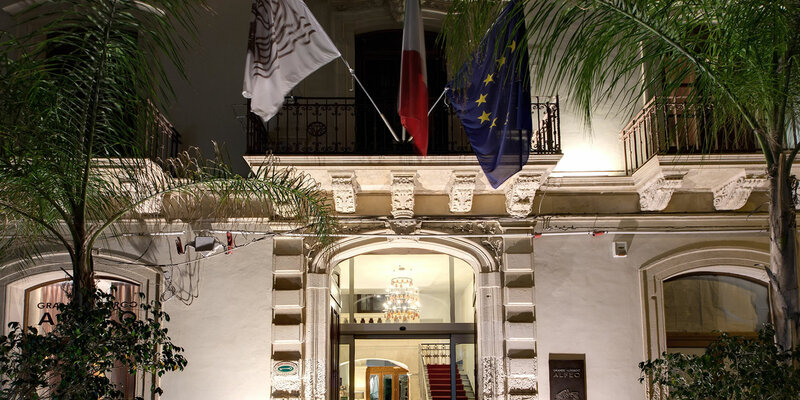 Whether you are looking for a hotel to host your business meeting, training course, or conference; or whether you are looking for a venue for a gala dinner or ball, or whether it is a more familial affair such as a wedding and other ceremonies, the Grande Albergo Alfeo Hotel is fully equipped to ensure that your every need is catered for. 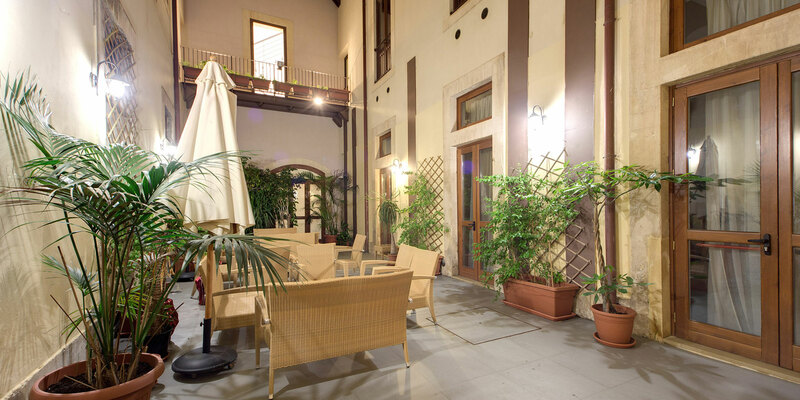 Indeed, the Grande Albergo Alfeo is equipped with a large meeting room (called the Sala Olimpia) in addition to multiple small meeting rooms. The large meeting room is capable of hosting groups of up to 80 guests and the room is complete with state of the art audio visual equipment with projector screen and an advanced speaker network. Stylishly and comfortably decorated and furnished, this room is perfect for large get-togethers and events. 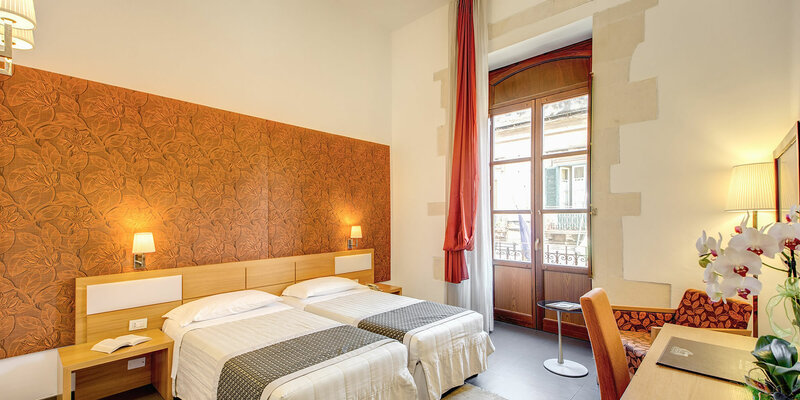 If however you are searching for more modest room spaces, then the Grande Albergo Alfeo also boasts multiple smaller meeting rooms complete with all of the equipment and facilities one would expect from a 4 star hotel. All of our rooms and public areas have free Wi-Fi internet access but there also exist hard line fast internet access points as well for your convenience. 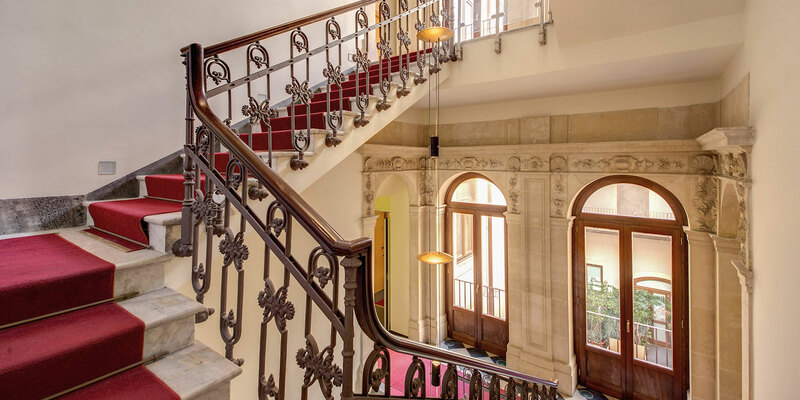 After your meeting has finished or during the breaks, perhaps you may enjoy relaxing in the quiet reading room or stretching your legs in the interior courtyard. Alternatively, perhaps you may prefer to unwind in our hotel bar or stylish restaurant, well renowned for its excellent cuisine and atmosphere. 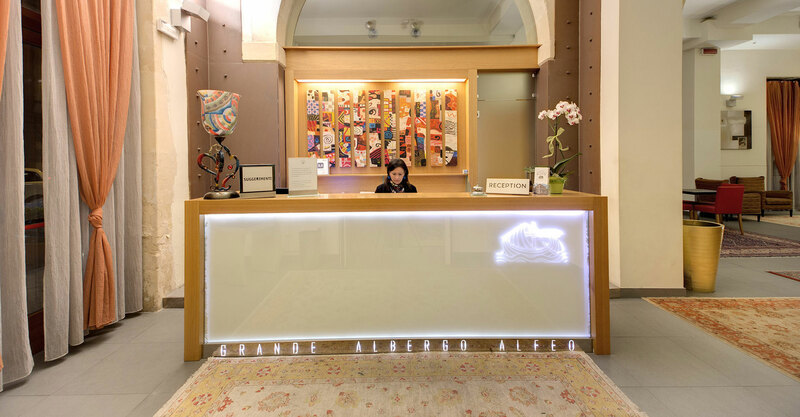 Whatever your preference, needs, size of group up to 80 persons, or reason for meeting together, you and your guests will find the Grande Albergo Alfeo a perfect meetings and events venue in the heart of Syracuse which will have the attendees complimenting you on an excellent choice. Don't delay - book today and ensure that your event runs smoothly without a hitch.